Cooking Instructions: Cooking Instructions (for porridge): For a portion of 1/3 cup of flakes (40g), add 1/2 cup to 2/3 cup boiling water or milk of your choice, cover and wait 1 minute before serving. Season and flavour to taste. 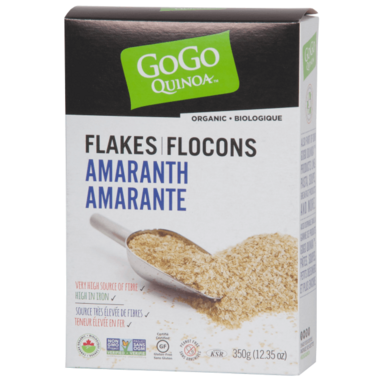 Ingredients: Organic Amaranth Flakes. Pre- cooked. 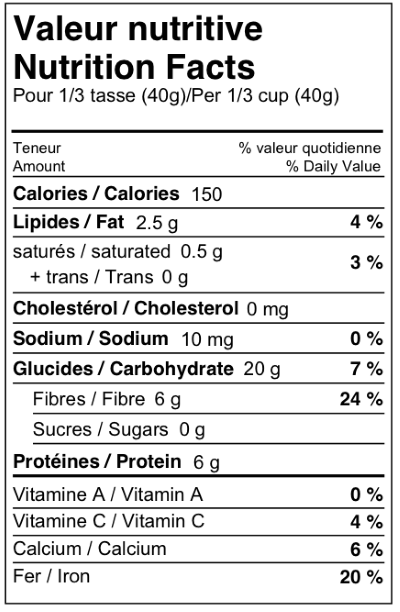 May contain nuts or traces of nuts.